These are the Sinn U1 S and U1 SE, two special new versions of one of Sinn’s most popular dive watches, the U1. The U1 had previously only been available with a black divers bezel, however the new U1 S and U1 SE, now come with an all-over hardened black coating which further protects its already tough, Tegimented steel case and components. As with all U1 series dive watches, the case, crown and case-back of the U1 S and U1 SE have been made from, high-strength, German Submarine Steel. Besides having extreme seawater-resistance, Tegimented steel also has a high degree of anti-magnetic properties. All U1 models have a captive bezel design that makes it virtually impossible for the divers bezel with its ratcheting mechanism and dive-time scale to become detached from the main case as a result of hard knocks. 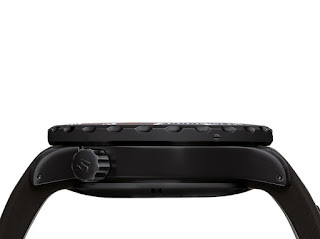 German Submarine Steel case with black hard coating on a TEGIMENT Technology basis, Sapphire crystal with anti-reflective treatment on both sides, and a screw-fastened case-back and crown. 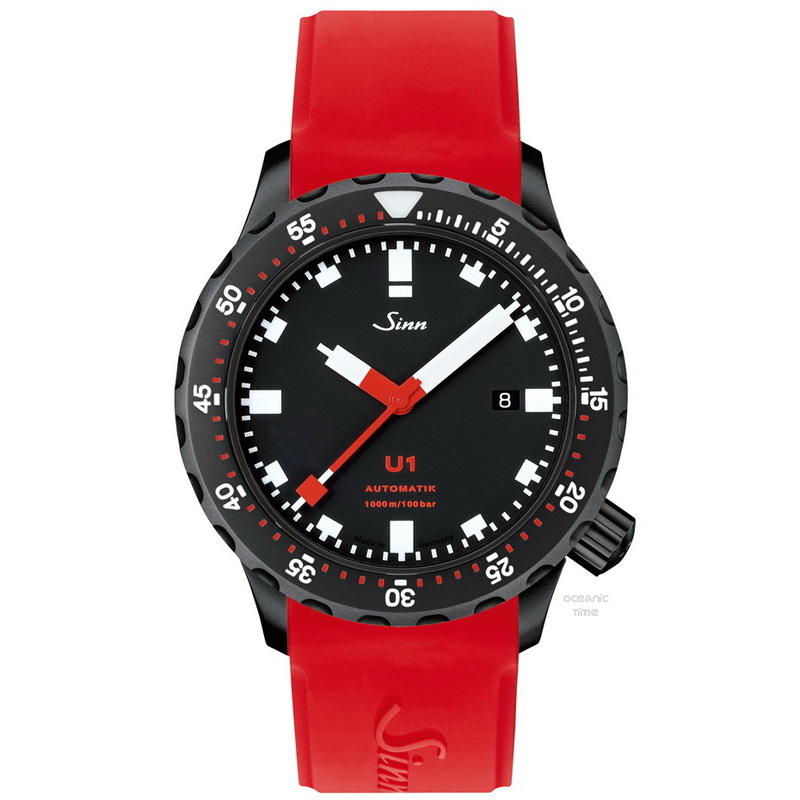 The Sinn U1 S and U1 SE not only meet the technical requirements for waterproofness, as set out in standard DIN 8310, but also German diving norm DIN 8306. They are pressure-resistant up to 1000m diving depth (= 100 bar) as certified by DNV GL. They have also been tested based on European diving equipment standards EN 250 / EN14143 and certified by DNV GL and is also low-pressure resistant. Powering the new U1 S and U1 SE is a Swiss made SW 200-1 self-winding mechanical movement with: 26 jewels, 28,800 semi-oscillations per hour, seconds stop function, shock-resistant as per DIN 8308 and anti-magnetic as per DIN 8309. 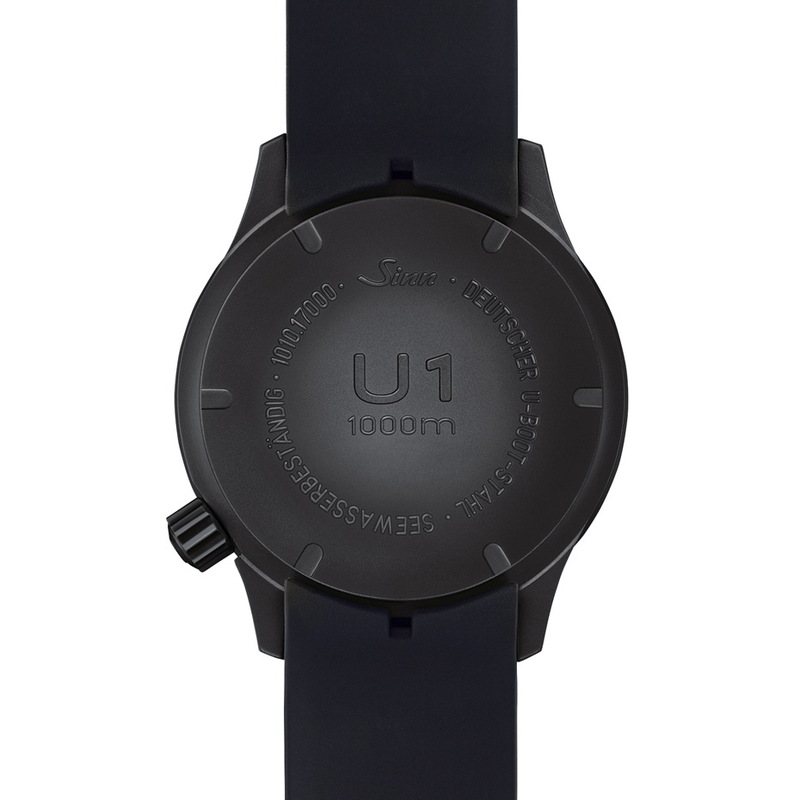 Both models have the U1’s signatures matte black dial with block handset. The U1 SE retains the usual look of a U1 with its red hands, while the U1 SE boasts a set of black hands with Ivory-colored lumed hands and markers. Like Sinn? Check out 2 more recently released divers models: the U1 CAMO and the 240 C.
If Sinn is so meticulous about water resistance and case hardness, why can't they engineer a crown protection. The U1 crown sticks out like a thumb. Very vulnerable to damage or snagging. The crown is by nature not strong by itself. It's not a matter of "if" it will get hit, it's a matter of "when ".